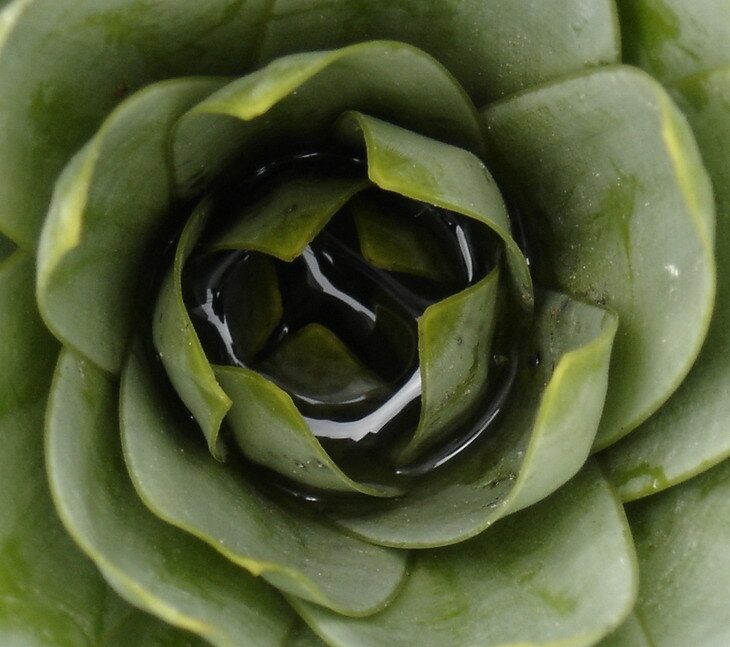 Bromeliad � rises in an aerial or ground habitat, this one grew up on the ground; the succulent leaves serves to store water for use in the rainless periods. This cup of leaves act as a wastebasket to catch water, leaves or other falling debris; the subsequent decomposition produces hummus that are absorbed as nutrient; also serves as habitat of larvae of mosquitos and other insects. The roots are used only as fixing points. Welcome here to TN Helcio. This is a very interesting post and I like the compostion. Can you perhaps tell me more about this plant. Very nice composition and good colours. Please add some note about the picture. Estou tamb�m no TE e no TL.. espero te ver l�!! Boa foto com a P-92. A nota tamb�m est� muito boa. H�lcio, gosto deste macro. Tons bonitos e um belo efeito. �tima id�ia. Gostei dessa macro. O detalhe da �gua no interior ficou �timo. Sou novo aqui, mas pretendo mostrar meus trabalhos. Beautiful shot! So much variety in color, and I really love the water in the middle -- it adds depth, contrast, and even more color. Because the entire shot is filled with the plant, the way the plant is shaped it feels like it's drawing and pulling me into it. So nice!